Don’t Ask Don’t Tell Or Be Transparent? We all have now learnt that the US policy of Don’t Ask, Don’t Tell was wrong and a failed approach. It took about two decades to realize that. How many innocent people did the policy hurt? How many people’s rights were violated? Even though it was a stated government policy, it does NOT make it right as the US Supreme Court has proven. In parallel, the social acceptance of gays and lesbians has also increased not to mention that gays and lesbians have become vocal, educated others, spread awareness and so are able to get support from the majority to get their rights. Sadly, Darren Manzella passed away recently in a car accident. He was one of the champions of the now rescinded “Dont Ask, Dont Tell” policy. He spoke the TRUTH first in 2006, went public in 2007 and was discharged in 2008 from the Armed forces. He inspired others to say the TRUTH. Was his only fault for saying the TRUTH? Maulik and his IVF children are SPLIT because of lack of gay immigration rights. Maulik, a male, was an immigrant and had the audacity to have IVF children in India while living in the US with “NO LEGAL MOTHER” in the US. In 2009, Maulik was silenced about his claims of IVF and intersex, then in 2010, Maulik was forced to live in EXILE in India to raise his abandoned IVF daughter, in 2013, the US government started allowing gay immigration. The abandoned IVF daughter is still STATELESS and cannot leave India and the IVF son is NOT allowed to come to India resulting in the two siblings NEVER met. In 2013, US saw its first law suit against intersex surgery. In 2013, Germany became the first European country to legally offer a “third gender” for intersex. The question is why are we punishing IVF siblings by forcing them to grow up separately because their IVF father tried to give human rights to an intersex person BEFORE the government could? Punish the IVF father for this heinous act of compassion, why punish his innocent, voiceless IVF children? Mr. Manzella has inspired many including this IVF father to continue to say the TRUTH even if its ahead of our times. Is history repeating itself? If you are an IVF child or parent, should a failed policy of “Dont Ask, Dont Tell” imposed upon you? Will this hurt any innocent people including innocent IVF children? In an international IVF, does this policy place innocent IVF children in a LEGAL LIMBO? Will there be other victims? Unless IVF children and families are allowed to educate, spread awareness for the issues they face, how will they get EQUAL rights? Secrecy and lies are a failed approach as we have already witnessed. Is history repeating itself? If you are intersex or a spouse of intersex, should a failed policy of “Dont Ask, Dont Tell” imposed upon you? Will this hurt innocent people? In an international intersex marriage where such marriages are still NOT legal, what will be the implications of an ILLEGAL marriage? Will there be other victims? Unless spouses of intersex are allowed to educate, spread awreness for the issues they face, how will they get EQUAL rights? Secrecy and lies are a failed approach as we have already witnessed. Maulik became an IVF father because of infertility in an intersex marriage. Should he have LEFT the intersex marriage instead of having a child through IVF? Maulik was frauded into an intersex marriage without the truth being revealed. Maulik became a spouse caregiver of intersex because of an intersex surgery during a marriage. Should he have left the intersex spouse instead of becoming a caregiver? Even the parents (traditional caregiver for intersex) of the intersex spouse did NOT come to provide any assistance. Maulik’s life is ALL about intersex and its effects, specifically the effects of SECRECY and LYING. Maulik has lived intersex and its effects since he was unknowingly frauded into an illegal intersex marriage. Maulik does not know anything other than intersex, caregiving of intersex, infertility, IVF, immigration of intersex, immigration of IVF children. This is his LIFE. You CANNOT shut someone up from talking about their LIFE unless flagrant human rights violations are OK. The right path is to educate and spread awareness and move forward with transparency. Secrecy and lies are a failed approach. Anyone who tries to “shut up” Maulik through a court order or threats is directly VIOLATING the human rights of Maulik and all those who he is speaking up for including innocent, voiceless IVF children and families and such acts may even be criminal. 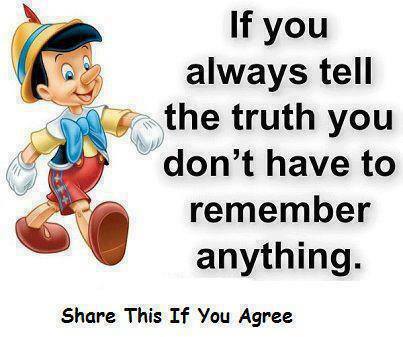 One can continue on the path of secrecy and lies but in the end truth always prevails. Intersex, IVF, spouses of intersex are all victims and slaves of secrecy and lying, it needs to end here now. If intersex is so traumatic, then what is it for a spouse of intersex who was frauded and enslaved? What is it for an IVF daughter who was abandoned before birth deliberately to secure his IVF brother away from his family? We agree intersex is traumatic but that DOES NOT mean one can ABANDON an innocent, voiceless IVF child and make them STATELESS. What about the RIGHTS of the CHILD? One can understand the issues that infertility causes but that does not mean one can deliberately SPLIT siblings with flagrant violations of the law and violating other human beings basic human rights.